atch PPT TO HTM Converter is a PowerPoint PPT/PPTX to HTM Batch Converter can convert PowerPoint PPT(X) to HTML easily. Batch PPT TO HTM Converter supports powerful search for lots of files. A HTM publisher for PowerPoint. Batch PPT TO HTM Converter supports project and command line. 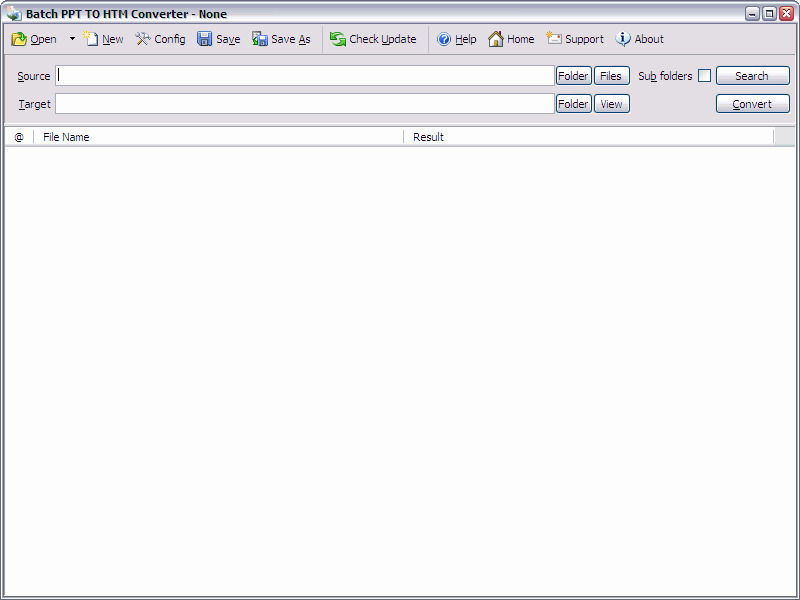 Batch PPT TO HTM Converter has a friendly GUI so it is used very easily. Batch PPT TO HTM Converter Drag and Explorer Context supported. Batch PPT TO HTM Converter supports an efficient Multi-Thread conversion engine. So you could control the conversion action very easily. You can stop or pause and continue it in any time. You can save your conversion work in a project file (.batch-ppt2htm) for re-use. You can run the batch-ppt2htm project in Microsoft Windows Explorer or command line directly. Convert PowerPoint PPT/PPTX to HTML easily. Batch convert PPT to HTM with GUI that supports powerful search function.